Select School Travel is offering one school from anywhere in the UK the chance to win a school trip to Normandy in France in association with the Council for Learning Outside the Classroom and School Travel Organiser Magazine. 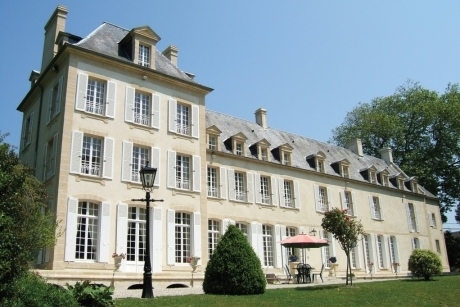 The prize – three days and two nights at Château du Baffy – comprising of 30 pupils and 4 adults. It includes board, transport and excursions, with the dates set for the trip 3rd to 5th September 2017. Château du Baffy is exclusive to Select School Travel, a family owned property with a capacity of 110 for school groups, and ideally located close to many historic sites and cultural experiences. All teachers have to do to enter the competition is explain, in around 500 words, why their pupils would benefit from this experience. The closing date for entries is Tuesday 4th July – a shortlist will be drawn the following day. The competition entries will be judged by Rob Yandell, the publisher of School Travel Organiser magazine, and Elaine Skates, the chief executive for the Council for Learning Outside the Classroom. Entries should be sent to competition@sst.co.uk. Queries can be made by calling 01444-870100. Day one: Early morning pick-up from school. Travel to the port and check-in for ferry/Eurotunnel. Arrive in France and continue to Normandy, with a brief stop to explore the port of Honfleur. Continue journeying to the Chateau du Baffy and check-in, before enjoying an evening meal and the first overnight. Day two: Visit the town of Bayeux and view the famous Bayeux Tapestry. Continue to the town of Arromanches-les-Bains for the 360 Cinema and a view of the Mulberry Harbour. After lunch head to a local chocolate factory before finishing the day at a traditional cheese farm. Return to the Chateau du Baffy for the evening meal and overnight. Day three: Check-out of Château du Baffy before visiting a local boulangerie, then continue to the port for ferry/Eurotunnel check-in. Arrive back in the UK and travel back to school. For further information visit www.chateaudubaffy.education.